The function of safety wears such as masks, overalls, boots, and gloves is not to stop an accident from occurring, rather, their function is to reduce (if not eliminate) the entire chance of you getting harmed in the occurrence of an accident. The crucial roles they play make them a non-negotiable provision in industries and factories, even regulatory bodies make it a must for employers to avail their employees with them.If you get injured or hurt as a result of your employee failing to make these safety provisions, then know that you are entitled to be compensated by either your employer’s firm or his work insurance for the damages and distress you have suffered. To help you bring the victory that is much needed, you would need to provide medical evidence, and this has to be provided by a professional amongst other documents. Rawa Law Group is the seat of flawless legal services here in Carson. With over two decades of legal representation, we have honed our legal expertise to bring you both the ultimate representation and the desired results. Our expert investigators and attorneys would help identify the cause of your injury and use it advantageously for you in court. 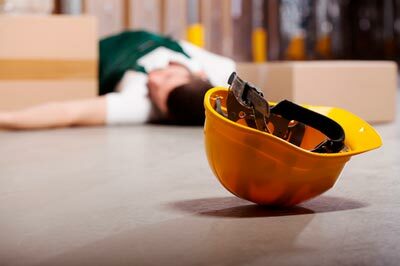 The experience of our work injury attorneys in Carson make them of high demand. Rawa Law Group offers full case evaluation without the pressure of payment; we oversee your case to the very end and only expect payments when we have won you money! Reach us via the address below.